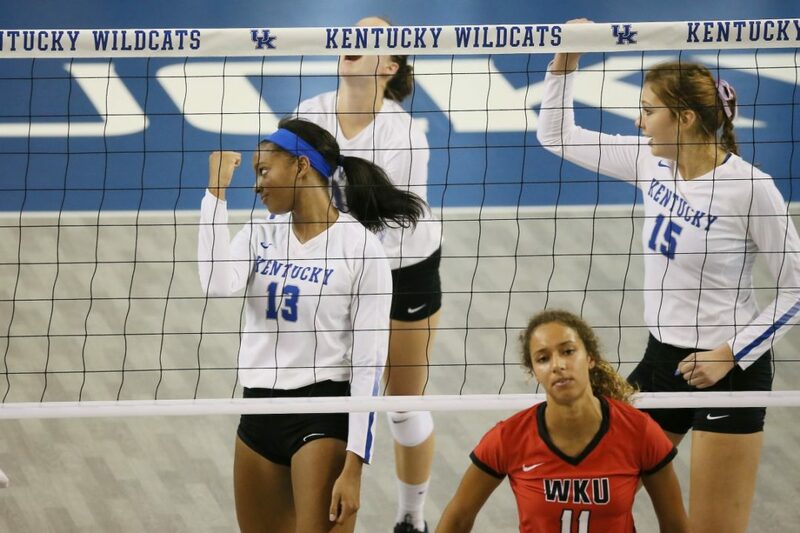 Kentucky’s Leah Edmond picked up SEC Player and Offensive Player of the Week nods for Week 6, while teammate Madison Lilley was tabbed as Setter of the Week. South Carolina’s Mikayla Robinson picked up defensive honors, while Florida’s Thayer Hall and Mississippi State’s Paige Shaw were named as Co-Freshmen of the Week. Kentucky’s Leah Edmond averaged 6.36 points and 5.86 kills per set while hitting .330 over two SEC wins this past weekend. The Lexington, Kentucky, native posted 15 kills, four digs and two blocks, while hitting .310 in a sweep of Arkansas on Friday. She then matched her career high of 26 kills in a four-set win against Missouri on Sunday, while hitting at a .339 clip and adding six digs and three blocks. South Carolina’s Mikayla Robinson averaged 2.50 kills and 2.12 blocks per set, while hitting .304 on the weekend to help the Gamecocks improve to 4-0 in SEC play. The West Dundee, Illinois, native downed nine kills and added six blocks, while hitting .250 at Alabama on Friday. She recorded her first career double-double with 11 total blocks and 11 kills while hitting .364 against Georgia on Sunday. Kentucky’s Madison Lilley averaged 11.80 assists and 2.86 digs per set as the team hit .286 in a pair of conference wins for the Wildcats. The Overland Park, Kansas native dished out 38 assists and guided the team to a .340 hitting effort, while adding four digs, two blocks and two kills in a sweep of Arkansas. She posted her fifth career double-double of the season with 45 assists and a career-high 16 digs to go with three blocks and two aces against Missouri. The team hit at a .236 clip against the Tigers. Florida’s Thayer Hall averaged 3.83 points, 3.00 kills and 2.00 digs per set while hitting .175 over two conference wins for the Gators. She notched 11 kills and four digs while hitting .300 at LSU on Wednesday and added seven kills, eight digs and two aces, while hitting .037 at Alabama on Sunday. Mississippi State’s Paige Shaw registered career highs of 18 kills and four total blocks while hitting .218 in MSU’s win over Auburn. Her final kill of the night came at match point in the fifth set.